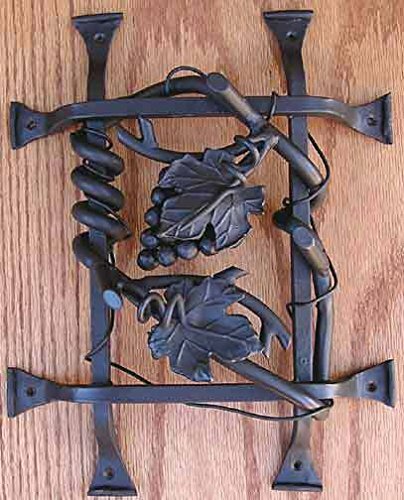 Agave Ironworks Grapevine Cluster Grilles Brown Rust by Agave Ironworks at N Online Agency. MPN: 301. Hurry! Limited time offer. Offer valid only while supplies last. Speakeasy Grilles / Door Grates: Hand Forged Distressed Iron, Powder Coated for protection in four color options, Matching wood screws for mounting. Speakeasy Grilles / Door Grates: Hand Forged Distressed Iron, Powder Coated for protection in four color options, Matching wood screws for mounting. Great for Doors, Garage Doors, Gates. Dimension - 11 1/2 L x 14 1/2 H in.